If carrots only appear on your dinner table chopped up in salads, this recipe is for you. 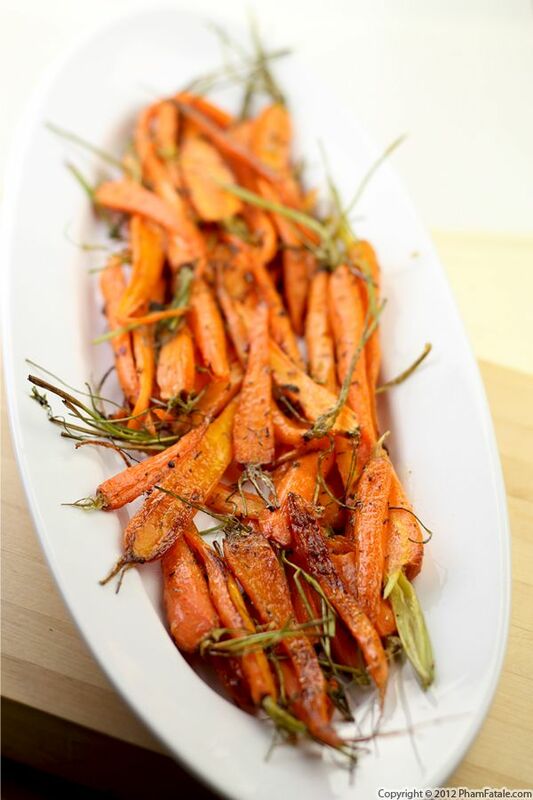 Roasting the carrots brings out their natural sweetness and the other ingredients in this dish enhance the flavor. The number of ingredients is minimal: good quality olive oil, kosher salt, green, pink and black peppercorn medley, lemon thyme from the garden and a drizzle of wildflower honey are all you'll need. This fancy yet simple presentation is a no-brainer for dinner parties. A few minutes in the oven and the result is absolutely stunning. The carrots turn slightly brown and they're candied to perfection!